Infinity SAV USA has been nominated for the Katerva Award for sustainable innovations in Clean Energy! Katerva Award is often referred to as the Nobel Prize of Sustainability. Infinity SAV USA generator will stop Climate Change by eliminating CO2 from electricity and transportation and will cut the cost of power by 90%. The mission of Katerva is to find, evaluate and accelerate disruptive sustainable innovations from around the world. Katerva selects the companies with innovations that will change the market and the environment for the better and Infinity certainly does. Infinity SAV USA technology will replace fossil fuels for electricity and transportation. The company’s working generator prototype is powered by permanent magnets and produces 3 kW of excess energy. 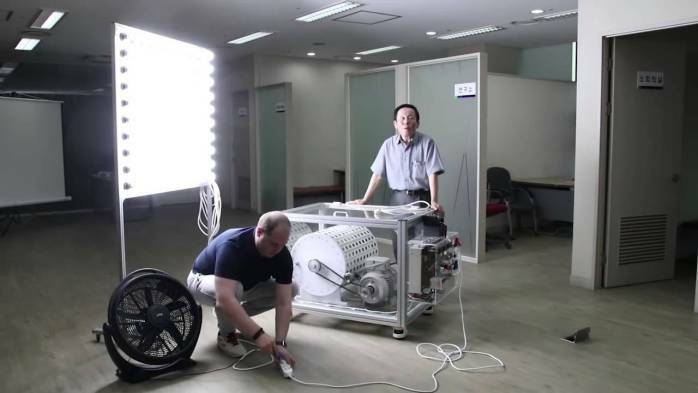 The generator has been demonstrated to hundreds of people including engineers and academics. The Infinity generator technology will benefit everyone – the poor villagers with no electricity, who has to walk miles for water and the clogged sites breathing polluted air. Infinity’s generator powered solely by permanent magnets will replace fossil fuels for electricity and transportation. Infinity SAV USA Incorporated is developing an electric generator to power homes and small businesses for as little as $0.02 per kWh. The goal is to stop climate change, save the environment, and save money. The company has uploaded several video demonstrations to YouTube and those videos have received 500,000 views, and many many requests to purchase generators. The company plans to use this technology as the starting point to develop a 20 kW generator that will completely power a house or small business. The company’s founder and inventor, Andrii Slobodian, explains that the generator has permanent magnets in the stator and coils of copper wire in the rotor. When a magnet approaches a coil of copper wire, it induces a like polarity in the coil. North induces North and North repels North and that causes the rotor to spin and creates power. Skeptics say it is impossible because it violates the Law of Conservation of Energy. Infinity responds by pointing to their working prototype. Magnets are caused by the quantum mechanical spin of unpaired electrons. The company is using the crowdfunding site Fundable.com to raise money and complete the engineering in the US for a bigger version of the generator. The many benefits of this new energy source include cheap, clean, renewable, 24/7 electricity with no CO2. These generators could be used to power a house, charge the battery of electric cars or provide power in remote locations. Decreasing the cost of electricity and stopping pollution will benefit everyone, especially the poorest among us. You can connect to Gary Tripp at 1-206-383-2245, or gary@InfinitySAV.us if you have any questions regarding the product.